This package will let you experience the grandeur of Khao Sok and enjoy intimate encounters with the region’s beautiful wildlife. Among the highlights of this adventure are kawaking on the lake, river excursions and safari at night. 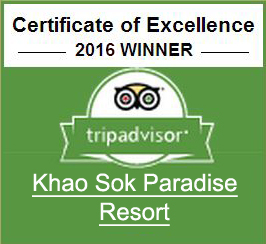 Our price includes all meals, accommodations and activities provided by the Khao Sok Paradise Resort. Beverages and entry fees for the national park are not included.